Imagine that an Islamist central command exists — and that you are its chief strategist, with a mandate to spread full application of Shariah, or Islamic law, through all means available, with the ultimate goal of a worldwide caliphate. What advice would you offer your comrades … ? Probably, you would review the past six decades of Islamist efforts and conclude that you have three main options: overthrowing the government, working through the system, or a combination of the two. I then concluded that a clever strategist would conclude that "overthrowing the government rarely leads to victory. In contrast, recent events show that working through the system offers better odds … But working within the system, these cases also suggest, has its limitations. Best is a combination of softening up the enemy through lawful means, then seizing power." 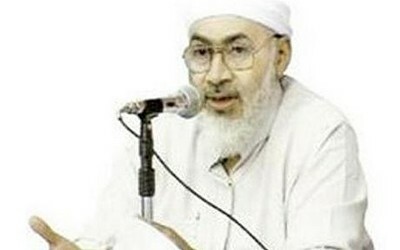 This imaginary position of Chief Islamist Strategist does not exist, but Sayyid Imam al-Sharif, an Egyptian who goes by the nom de guerre Dr. Fadl, comes as close to filling the bill as anyone. And, interestingly, he has drawn roughly the conclusion I sketched out for him, reports David Blair in the Daily Telegraph. 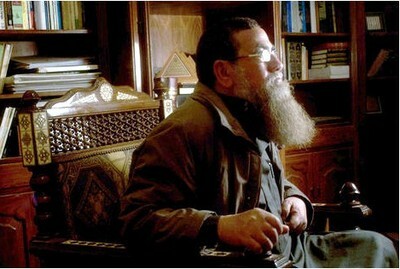 Sayyid Imam al-Sharif, an Egyptian who goes by the nom de guerre Dr. Fadl. he has launched a frontal attack on al-Qaeda's ideology and the personal failings of bin Laden and particularly his Egyptian deputy, Ayman al-Zawahiri. Twenty years ago, Dr Fadl became al-Qaeda's intellectual figurehead with a crucial book setting out the rationale for global jihad against the West. Today, however, he believes the murder of innocent people is both contrary to Islam and a strategic error. "Every drop of blood that was shed or is being shed in Afghanistan and Iraq is the responsibility of bin Laden and Zawahiri and their followers," writes Dr Fadl. the founding figures of the jihadist movement today fall into three camps. 1) Al-Qaeda and its unconditional supporters; 2) jihadist scholars who are supportive of the global jihad, but critical of specific tactics and practices (e.g. Al-Maqdisi and Al-Tartusi); and 3) those who support jihad in theory, but are highly critical of Al-Qaeda and believe that most jihad operations should be stopped at present due to various contingencies (e.g. Sayyid Imam [al-Sharif, or Dr. Fadl]). Abboud al-Zomor in his house. Abboud al-Zomor — the former intelligence officer who supplied the bullets that killed President Anwar el-Sadat and is Egypt's most notorious newly released prisoner — waxes enthusiastic about ending the violent jihad he once led. "The ballot boxes will decide who will win at the end of the day," Mr. Zomor said during an interview in his large family compound in this hamlet on Cairo's western edge. "There is no longer any need for me to use violence against those who gave us our freedom and allowed us to be part of political life." In its drive to create a perfect Islamic state, his Islamic Group and other groups like it were once synonymous with some of the bloodiest terrorist attacks in Egypt. But they are now leaping aboard the democracy bandwagon, alarming those who believe that religious radicals are seeking to put in place strict Islamic law through ballots. … He and other Salafis, or Islamic fundamentalists, rhapsodize about founding political parties and forging alliances with the more mainstream Muslim Brotherhood to maximize the religious vote.